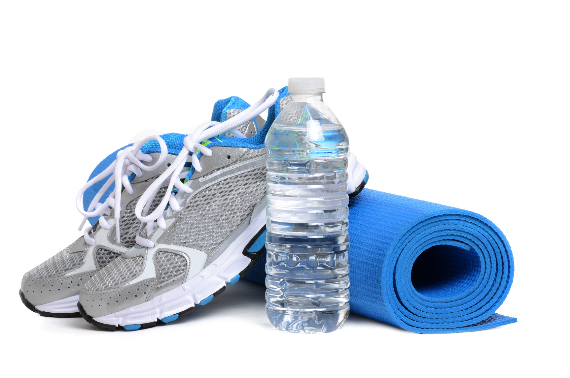 Many business owners realize the importance of a successful wellness program. But implementing and maintaining a good one is often a difficult task. Employers face challenges such as low participation, difficulty communicating the program goals and measuring successes, and many other obstacles. In a recent two-part article on Employee Benefit News, Don Powell, the president and CEO of the American Institute for Preventive Medicine, identified 20 characteristics that all successful workplace wellness programs share. 1. Making health a core business value – You could even consider including employee well-being as part of your mission statement. 2. Involving leadership – Utilizing your management team is a great way to set an example of good health. 3. Employees championing wellness – Anyone in the organization who’s committed to wellness can serve as a leader for your wellness initiative. 4. Proactively encouraging employees to utilize available resources – Offer activities and education that employees can take advantage of on company time. 5. Improving the workplace environment – Vending machine and cafeteria offerings should make it easier for employees to make healthy choices. 6. Branding your wellness program – Your program should have a catchy name, tagline, special colors, or even a logo. 7. Including multiple components – You’ll see far greater success if you offer a full array of activities, rather than just one or two events or initiatives. 8. Using multiple communication methods – Take advantage of every opportunity to promote your program (e.g. emails, posters, newsletters, calendars, and social media). 9. Maximizing employee participation – Constant promotion and publicity will help keep the program in the forefront of employees’ minds. 10. Using assessments wisely – You shouldn’t rely on assessments in order to decide what programs to offer. Instead it should be used to allow employees evaluate their wellness and become motivated to make lifestyle changes. 11. Offering lifestyle programs – Things like health coaching, self-help programs, and other options are a great way to help employees help themselves. 12. Providing health coaching – This tool can be done through telephone, email, or even in small group settings. 13. Offering self-help programs – Good options are interactive kits that employees can use to help them learn how to make lifestyle changes in the privacy of their own homes. 14. Offering group programs – Regularly scheduled lunch-and-learns, health fairs, and even walking clubs are popular ways to reach a large group of employees all at once. 15. Using online tools to challenge employees – Social networking and other collaborative sites allow employees to connect virtually, even in multiple worksite locations. 16. Teaching medical self-care – This involves educating employees on how to make better health care decisions. 17. Using novelties to increase engagement – Magnets, pens, stress balls, and other gadgets can help attract attention and get your wellness message out. 18. Keeping it simple – Program materials should all be concise and easy to read, no matter the education level of your employees. 19. Rewarding successes – Make sure the rewards you offer are consistent with your workplace culture. 20. Reporting – All successful workplace wellness programs have a means of determining the value of their efforts and whether they’ve met their objectives. Read the full article to learn more about these tips for creating a successful wellness program.